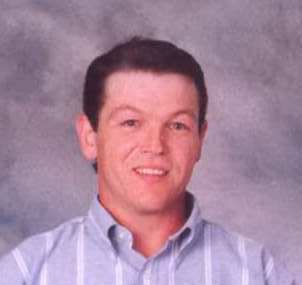 Mr. Jimmy Joe Henshaw Sr., 45 of Caseyville, Illinois, born May 13th, 1959 in Belleville, died on April 11, 2005 in Belleville. He was a member of the Moose Lodge in Caseyville. He enjoyed fishing and being a grandpa. He was employed by Phase I Management and was a dedicated hard worker. Mr. Henshaw was the most loved husband of Tammy Henshaw whom he married December 22, 1978, dear father of Angela Henshaw, Crystal (Eric) Leisler, Jimmy Joe (Alicia) Henshaw II, Amanda (Joey Malter) Henshaw and Tiffany Henshaw, Beloved grandfather of Luke Neal, Jersey Leisler, Jimmy Joe Henshaw III and soon to be grandson Elliott Leisler. brothers and sisters, John (Diana) Adair, Rich Travous, Terry (Robert) Muckenstrum, Cathy Henshaw, Laurie Pack, Patti (Jeff) Missey, Jay (Cathee) Henshaw, Dale Henshaw, Dawn (Marc) Herring, Robby (Cindy) Henshaw, Jeff (Karen) Muir, Tony (Krissy) Muir and best friend, Jeff Behringer. He was preceded in death by his parents, Robert and Pauline nee Adamson Muir, sister, Betty Adair, nephews, Jeremy Pack and Caleb Henshaw. Visitation for Jimmy Henshaw will be held from 4 to 8 PM Wednesday, April 13th at Valhalla Holten Funeral Home, Belleville. Services will be held on Thursday, April 14th at 10: AM at Valhalla Holten Funeral Home. Private interment will be held. Arrangements under the direction of Valhalla Holten Funeral Home in Belleville, IL.